Romo's going from the NFL to CBS, but may have a short stop in the NBA. The Dallas Mavericks plan to honor Tony Romo at their home finale Tuesday night by making the longtime Dallas Cowboys’ quarterback “a Maverick for a day,” ESPN has learned. 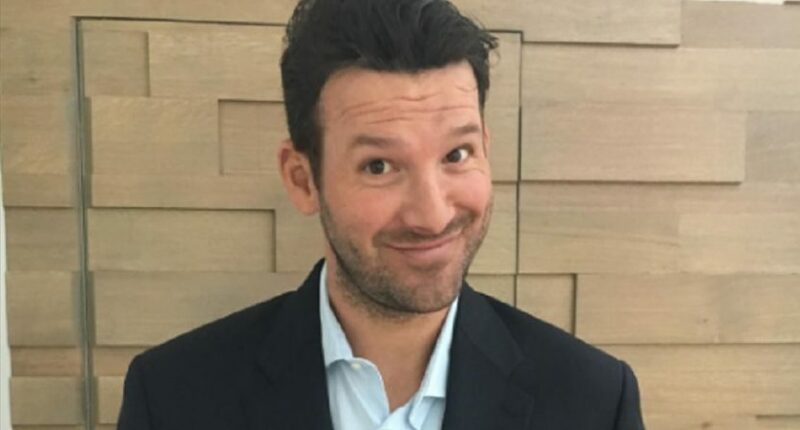 Sources told ESPN.com that the Mavericks intend to have Romo on the bench and in uniform for their final regular-season home date against the Denver Nuggets as a means of paying tribute to the longtime former Cowboy. …The Mavericks plan to treat him like an actual player on the roster for the day, sources said, even though Romo won’t actually play in the game. He last played competitive basketball in high school in Wisconsin. Romo joined the Cowboys in 2003 and has become a frequent and vocal presence at Mavericks games over the years, developing a passion for the team and growing close along the way to Cuban, Mavericks coach Rick Carlisle, star forward Dirk Nowitzki and others in the organization. Well, hey, sitting on the bench and not getting to play won’t be anything new for Romo after how he was replaced by Dak Prescott this year. And as noted in the story, the 32-47 Mavericks are already long out of playoff contention, so if they do have to use a roster spot on Romo to do this, it’s not going to affect much. Still, this is a long way to go for a publicity stunt; it would have been just as possible to just have “Tony Romo Night” and have him show up, give a speech and get a plaque without all the maneuvering required to put him on a NBA bench during a game. Cuban is good at attention-getting stunts, though, and this one’s definitely going to draw some attention.